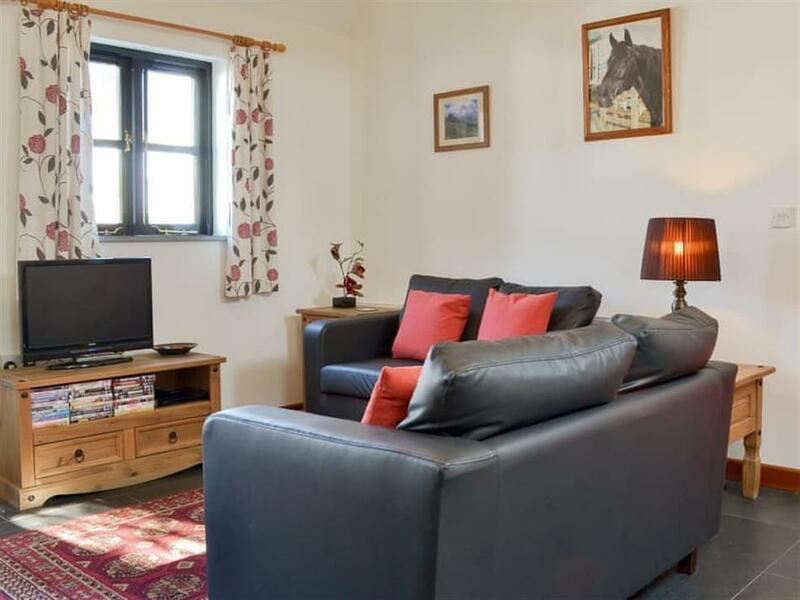 Delphy at Hallagenna Farm Cottages in St Breward, near Bodmin, Cornwall sleeps 4 people. Hallagenna Farm Cottages near Bodmin is set in 5 acres of fantastically wild and rugged moorland, high on Bodmin Moor with uninterrupted views, roaming wild ponies and sheep gently grazing; this is a stunning location at any time of the year. Hallagenna Farm Cottages consists of 5 attractive white washed cottages which are unique and visitors certainly have their favourites. Delphy (ref UK11088) and Old Barn Cottage (ref UK11089 [Old Barn Cottage]) are a matching pair of renovated, single-storey, contemporary barn conversions. Ladydown Cottage (ref UK11085 [Ladydown Cottage]) is tucked away in a corner with views from the living room and kitchen across the open moors. There is also a cosy wood burner for snuggling up beside on chillier evenings. Old Brock Cottage (ref UK11087 [Old Brock Cottage]) has a quirky layout with an open plan living/dining room with a wood burner on the first floor. Old Dairy Cottage (ref UK11086 [Old Dairy Cottage]) has a compact kitchen, cosy living room with a wood burner, and a private entrance and parking area, making it a little more private than the others. These semi-detached cottages also have their own small enclosed patio garden with garden furniture. Hallagenna Farm was once a busy farm and home to the famous black stallion horse featured in the original Lloyds bank television commercial. It is now a sleepy hideaway less than a mile from the moorland village of St Breward, with its village shop and 11th-century pub. The friendly owners live on-site in the farmhouse and really enjoy guests coming to stay at Hallagenna Farm Cottages, a very warm welcome awaits you. There are fabulous walks from the doorstep with Delphy Bridge, a little hidden gem, a 10-minute walk across the moors. It is very popular in the summer where children can paddle in the moorland stream and watch ponies quenching their thirst in the shallow waters. This little spot makes a truly wonderful picture. Just a short drive across the moors will take you to the main A30 or to the A39 Atlantic Highway making exploring Cornwall very easy. Bodmin Moor is perfect for walkers with wide open spaces and dark starry nights. For those who enjoy horse riding, there is a riding school on the moors close by. Artists and photographers will not be disappointed, and for the adventurous and outdoor enthusiasts, The Camel Trail and Cardinham Woods are just a short drive away. The beach is 11 miles from Hallagenna Farm Cottages near Bodmin. With the shop, pub and restaurant ½ mile from Hallagenna Farm Cottages. These properties can be booked together to sleep up to 19 people. Delphy is all on the ground floor. Bedroom 2: With single bed and pull-out single bed. Oil central heating, electricity, bed linen, towels and Wi-Fi included. Travel cot and highchair available on request. Small enclosed patio with garden furniture. Residents’ car park, allocated for 1 car. No smoking. Please note: The property has a natural water supply from a borehole. Holidays at Delphy, Hallagenna Farm Cottages run from Saturday to Saturday. Pets allowed at Hallagenna Farm Cottages - Delphy. For a better idea of where Hallagenna Farm Cottages - Delphy is, you can see Hallagenna Farm Cottages - Delphy on the map below. 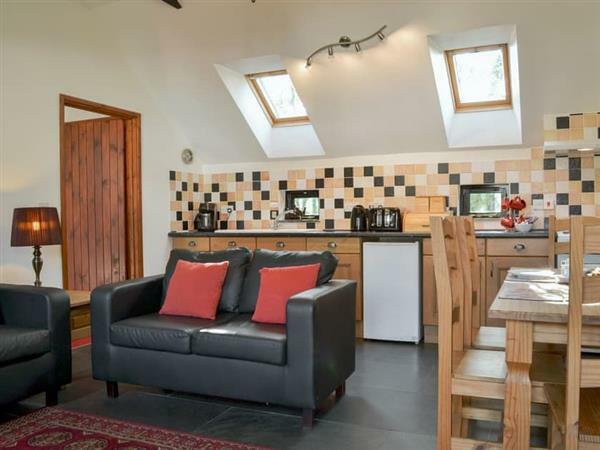 Hallagenna Farm Cottages - Delphy is in Cornwall; should you be on the lookout for a special offer, you can find all the special offers in Cornwall. It's always worth checking to see what is on offer at the moment. Do you want to holiday near Hallagenna Farm Cottages - Delphy (UK11088), you can see other cottages within 25 miles of Hallagenna Farm Cottages - Delphy; have a look to find your perfect holiday location.